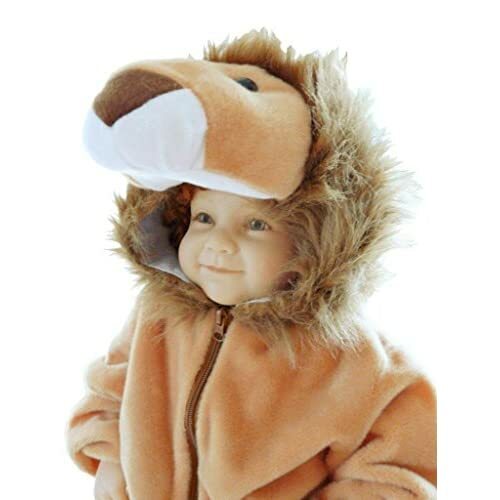 Wear this cuddly lion through the carnival or halloween! This cute lion is something very special. Animal costumes are very popular to wear. Be the attraction of halloween in this cute wild cat-costume for baby´s, children and toddlers. 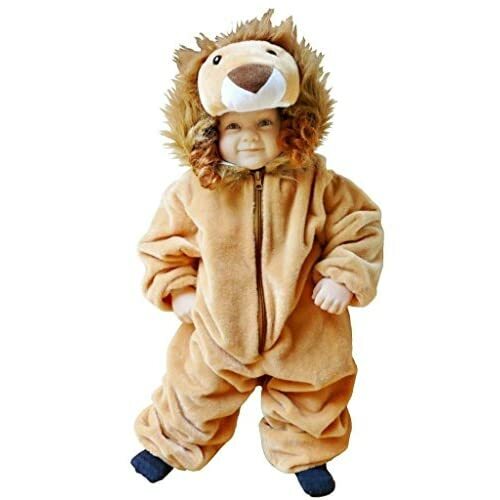 Let your kid be the attraction of halloween in this cute big cat-costume. Material: 100% polyester. This great halloween or carnival-costume is the special gift for many occasions - for christmas, for birthday´s, or for easter. Ideas for baby´s, toddler´s, children, infant´s. Birthday gifts, christmas gifts or a halloween surprise for kids. Ideal as an easter gift, a special gift for birthdays or a souvenir for a party. 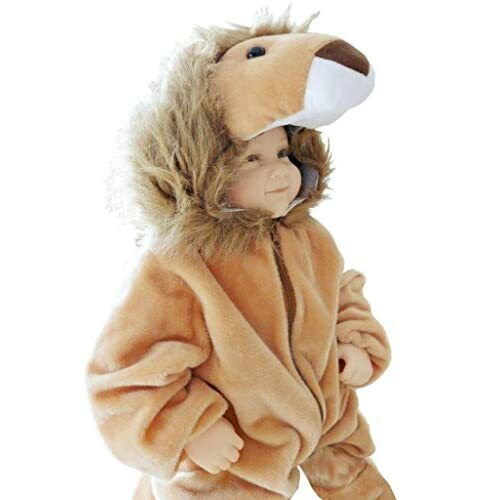 Your kid will look like a real animal in this beautiful lion costume. Our lion-costume is especially appealing to kids for halloween. Fairytale-costumes and animal-costumes, like this lion-costume, are something special as a full-body-costume. This cute-costume is nice and warm for girl´s and boy´s for carnival. A lion-suit is the eye-catcher of the carnival-costumes. This costume can be found in all sizes. For babies, toddlers, children and adults. Our full-body plush-costumes for kids are available in all different sizes. The right size, whether for girl or boy, also depends on the costume height. Exact details can be found on each of our full-body costumes. A carnival-costume for the whole family. This animal-outfit is for all different ideas. These lion-costumes are the perfect halloween-clothes. A nice dress-up-idea. You can choose from the following sizes: 6-9 months, 9-12 months, 12-18 months, 2T, 3T, 4T, 5, 6, 7, 8 and 9. Equally suitable for girl´s and boy´s. Material: 100% polyester. Our lion costume pleases baby´s, toddler´s, children and kids for carnival and halloween especially well. Fairytale costumes and animal costumes, such as this lion costume, are something very special as a full body costume. Plush costumes are perfect and warm for both girl´s or boy´s for halloween, carnival or other festivities. An animal suit as a dangerous lion is the eye-catcher among halloween costumes. The animal jumpsuit can be found in all sizes. For babies, toddlers, children and adults. 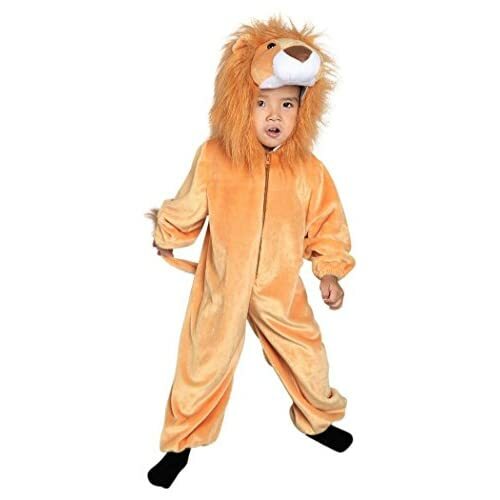 Pull it as a cuddly lion through halloween or the carnival. 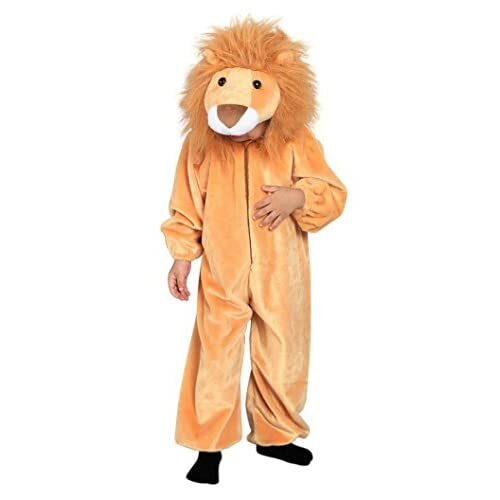 The costume consists of the jumpsuit with lion head hood. The overall has a velcro fastener in the back. 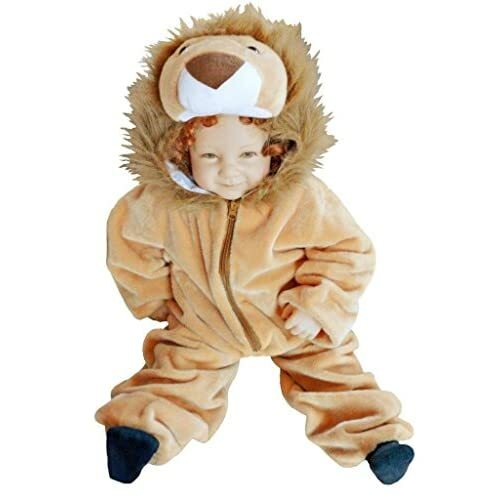 Scope of supply: a lion costume (overall) with lion hood. You will find other sizes also here in our shop. Please note that this offer only includes one costume. Our animal costumes are perfect as a halloween or carnival costume. The perfect animal disguise, for girl´s as well as boy´s. The girl´s and boy´s will make an excellent figure in this noble lion costume. They are ideal both as a group costume, as well as a pair of costumes. Make the city, the school or the kindergarten unsafe as a dangerous lion. And be sure, you'll definitely stand out among all the other costumes with this extravagant costume. This costume is not only ideal for halloween or carnival, it is even perfect for example christmas, a bachelor party, a birthday or easter. It will fit for every other occasion. This costume really is an eye-catcher. 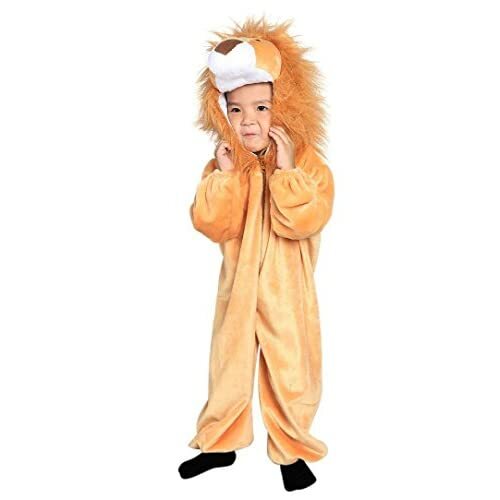 Jump out of the crowd and dress up as a dangerous lion. You will be impressed by the pleasant wearing comfort. Even in cold temperatures you will be cuddly warm. Enjoy your new favourite costume.